Fila Surface Care Solutions of Italy will be at The Big 5 in Dubai this month to meet clients in the growing regional market and showcase its special line of products developed for the region. 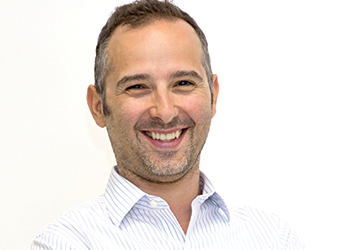 “The Big 5 exhibition is a vital opportunity for our team to interact with our clients in the Middle Eastern market which is growing exponentially year on year,” says Francesco Pettenon, managing and commercial director of Fila Surface Care Solutions which has been present in the UAE since 2002. “Visitors from the Middle East are particularly interested in the special line of products we have developed for the Gulf market, which counter the effects of extreme heat and the omnipresence of sand particles. It includes stone protection and maintenance products to cover the whole life of a building,” says Pettenon. “Our expertise has been recognised in the region since we have had the honour of protecting the Presidential Palace in Abu Dhabi (UAE), the new Hamad International Airport in Doha (Qatar) and the Burj Al Arab in Dubai (UAE), to name a few. We are now expanding as more and more construction professionals become aware that foresight is essential in the protection of fine materials,” he says. Fila’s participation at The Big 5 comes following its “tremendous success” at Cersaie, a leading ceramic tile and bathroom furnishings exhibition held in Bologna, Italy. Held from September 28 to October 2, Cersaie exhibition attracted visitors from more than 150 countries including some 2,700 from the Middle East, representing five per cent of all the foreign visitors. Fila attributes its success at the event to “its unparalleled line of surface protection and care products”, which include dirt-repellent protectors, solvent-free stain protectors, grout haze removers, epoxy removers and stain removers and detergents, many specifically aimed at the Middle Eastern climate. “Most of our clients from the Middle East visit the Cersaie exhibition every year to discover the latest innovations and products. Our Middle East team came to Italy to meet with them, discuss their needs, and introduce our latest innovations for surface protection and care,” says Pettenon. Established in 1943, Fila is a market leader in surface care solutions. Products from its award-winning range are sold in more than 100 countries around the globe, from its main production plant in Italy and its six commercial branches – Dubai, France, Germany, Spain, the UK and US. Its products are recommended by over 220 leading brands and are designed to provide high performance, whilst protecting the characteristics of natural surfaces. Products span from pre-grouting protectors, detergents and sealants, to after-care maintenance and stain removal solutions. They are designed for the treatment of marble, granite, natural stone, porcelain, ceramics, terracotta and wood. Fila also offers consultancy services and full support during the construction phase.